Q: How long is the flight from Ecuador to the Galapagos? A: It depends from where you depart. Flights to the Galapagos leave from Quito and Guayaquil. It takes about half an hour to get from Quito to Guayaquil and roughly one and a half hours from Guayaquil to the islands. 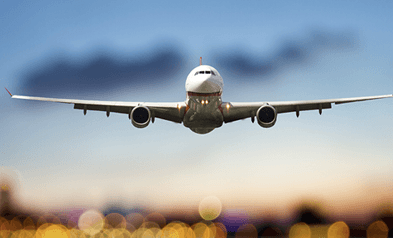 Q: Are there luggage restrictions on the airplanes? 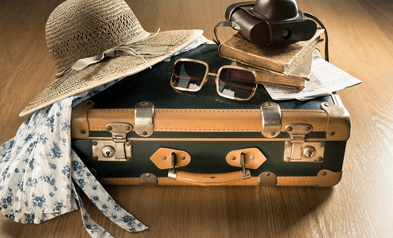 A: Only one checked suitcase (44 lbs., 20kg) and one carry-on bag are allowed. Thank God bathing suits and shorts don't weigh that much! A: Since the islands are situated very near the Equator, we recommend that you bring lightweight clothing and of course, don't forget your swimsuits, sun lotion, and good footwear. Please have a look at our packing list to get an idea of what to bring. 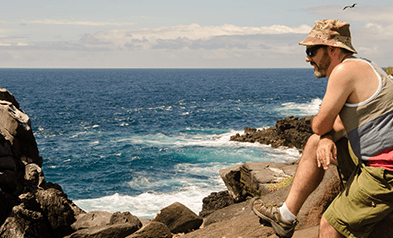 Q: When is the best time to travel to the Galapagos? A: Since the climate is pleasant all year round, there is no "best" or "better" time to fly to the Galapagos. However, you might take other factors, such as High Season vs. Low Season etc. into account. Please have a look at our "When to go" page and decide when is the best time for you to travel to the islands. Q: Are there any immunizations required/recommended? A: For the Galapagos Islands there are no required or recommended immunizations. If you, however, intend to spend more time in Ecuador, especially in the jungle, immunization is highly recommended. As this changes from time to time please check with your local health office (or the Institute for Tropical Diseases) a few weeks in advance of your trip. A: Not if you have US dollars. In 2000, Ecuador adopted the US dollar as its official currency. Just make sure you bring cash bills in good condition with you. If they have tears in them, they are likely to be refused. A: When your reservation has been confirmed you will be required to pay 30% of the total trip price as a deposit. The remainder should be paid 60 days before departure. In the case of last minute bookings, you are required to pay the total amount stated in your invoice to confirm your reservation. For more detailed information, click here. A: We accept payments with Visa, Master Card, American Express, Discover, e-checks or payments from PayPal account. To hold your reservation, we need a deposit of 30% of the total cruise price. Q: What is the National Park entrance fee & how can I pay it? A: The entrance fee amounts to $100 (Subject to change). 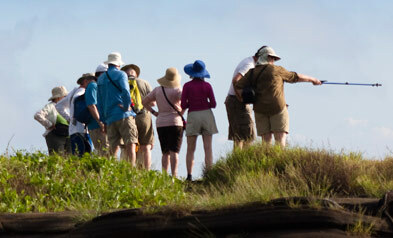 You'll pay it in cash when you enter the Galapagos National Park on the first day of your arrival. Q: What is included in the price (of the boats)? 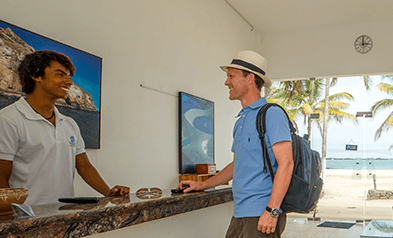 A: Included in the price is onboard accommodation, three meals a day, purified drinking water, visits and and excursions to the islands with an English speaking naturalist guide, panga rides, our famous 24 hour client support service, and taxes. A: Not included in the price are the flight tickets to and from the Galapagos Islands, the National Park entrance fee $100 (Subject to change) and the INGALA Transit Control Card ($20), alcoholic drinks on board, tips, transfers, and all other personal expenses. Q: Is it possible to make phone calls to my home country? Q: Is there a dress code on board? A: There is no dress code on board our Galapagos cruises. The only requirement for lunch and dinner is to wear shoes or sandals. 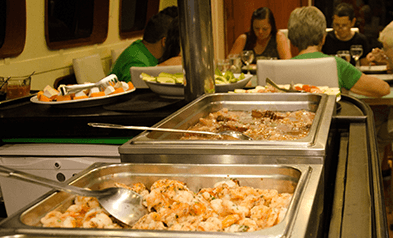 There are exceptions like the: La Pinta, Silver Sea, Celebrity Xperience, Santa Cruz, Isabella II, and Legend that will ask you to wear long pants during meals. Q: Are single or triple suites available? A: Most of our cruises will assign double cabins to all passengers unless you want to pay the single supplement if traveling alone. Triple cabins can also be arranged on request, depending on availability and the vessel you choose. Q: Is smoking allowed on board or on the islands? A: In the cabins, as well as on the Galapagos Islands, smoking is not allowed. On smaller boats, however, you can smoke on the deck and bigger (cruise) ships offer designated smoking areas. Q: Can I extend my stay before and/or after my cruise? Q: Can you make hotel reservations for us in Ecuador? A: Of course! We are happy to arrange that for you! 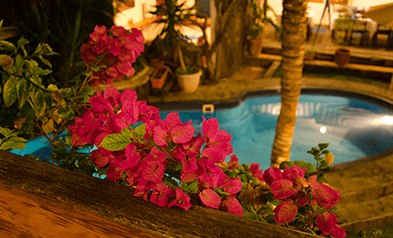 Just have a look at the recommended hotels in Ecuador and let us know where you'd like to stay. 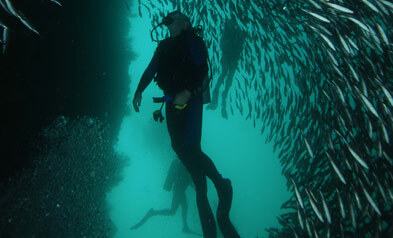 Q: What diving tour options are available in Galapagos? Q: I'm interested about diving in Galapagos. How these tours work? 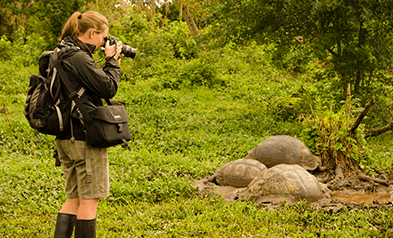 Q: What hotel-based tour options are available in Galapagos? Q: I'm interested about hotel-based programs in Galapagos. How these tours work?